Seminal trance collective featuring Caspar Pound have to lie down and be counted through the genius of Mixmaster Morris. RHC featured last November. But a quick recap: This was the collective around Rising High Records boss Caspar Pound. 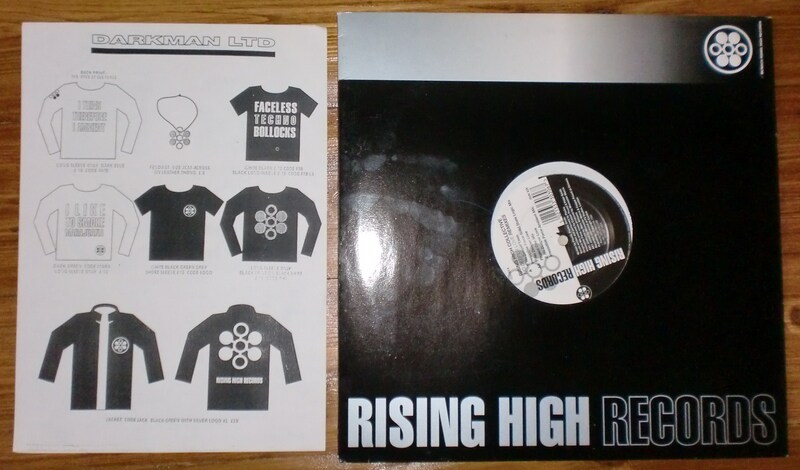 RHR was one of the most UK important labels of the early 1990s. Rising High Collective was his musical outlet. They made song-based techno/trance. Featured track is 1992’s “No Deeper Love”, whose lyrics (by ex-Shamen associate Plavka) allegedly provide a text on astrology and the formation of the universe. But my inability to hear lyrics is legendary, so you’re on your own there. Mixmaster Morris provides the remixes, as Irresistible Force, and is on top laid back form. If you only download one, go for the Solid State mix which has a bit more substance than the whispier Ambient mix. ~ by acidted on August 27, 2010. I had one of those Rising High jackets, you could spit peas through it. do u still have this rising high jacket?? ?